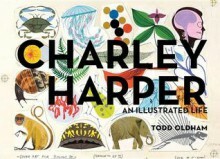 Charley Harper was an American original. For more than six decades he painted colorful and graphic illustrations of nature, animals, insects and people alike, from his home studio in Cincinnati, Ohio, until he passed away in 2007, at the age of 84. Renowned New York-based designer Todd Oldham rediscovered Charley's work in 2001, and collaborated closely with him in the ensuing years; combing through his extensive archive to edit and design this stunning monograph. This new "mini" edition is a popularly priced, beautiful tribute to Charley Harper's singular style, which he referred to as Minimal Realism.